Let's Play of Gemini Rue = YouTube Troubles? First off, I'd introduce myself here, but I'm saving that for later. Hopefully during.. more pleasant circumstances. Basically, my issue is this: I bought Gemini Rue a month or so back, and did a let's play of it. It went smoothly, apart from the Direct3D-related loading-after-death glitch, but that's not the issue here. The problem is that having finished my Gemini Rue let's play (consisting of videos 30+ minutes in length), I appear to have lost my ability to upload videos longer than 15 minutes. 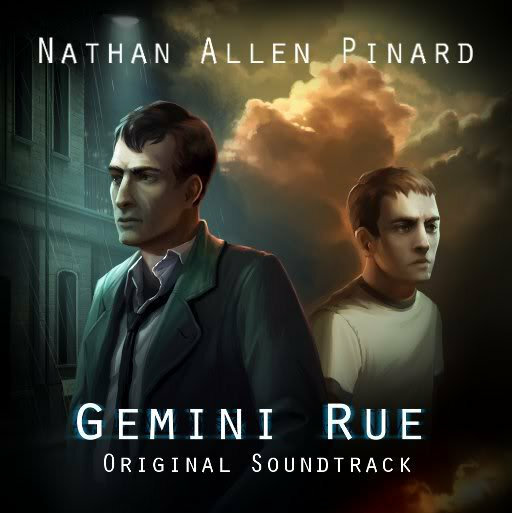 Now, while uploading the videos, I got a few Content ID matches for the Gemini Rue soundtrack. I had absolutely no problem with that and acknowledged the claims that came up, as it was stated that they wouldn't affect my account. As a matter of fact, they didn't. I was able to upload all parts of my let's play, with every single video being over 15 minutes. Precisely the same information before I lost my ability to upload videos over 15 minutes. Basically, I'm here to ask whether, somehow, the creator/publisher of the soundtrack has for some reason decided to penalise videos on YouTube featuring the music from the soundtrack, or if it's a YouTube screw up. Any input provided would be extremely helpful. Oh, and the reason I came here rather than going to YouTube is I thought I would simply get a better answer from the creators. Thanks for reading this semi-wall-of-text. PS: Game's great, and I'm planning to let's play all of the Blackwell games next, if I can get this resolved, somehow. Re: Let's Play of Gemini Rue = YouTube Troubles? Hm. That is definitely strange. I definitely would never flag a video as innocent as a Let's Play. I am not sure what I can do about it, since i didn't make the complaint. Is there a support channel for YouTube that you can contact? Having looked into Rumblefish a little more, it seems to be a perfectly legitimate entity. Looking on their site, it seems as if they're just some licensing company you can give your music to in order to be entered into YouTube's automated Content ID system. So given that, I'm leaning towards believing the claims are by someone with the right to do so. Today, however, I learned from a friend that this problem seems to be affecting many people on YouTube, some partners included. So it seems I was making something out of nothing, and it's simply a YouTube bug. Either way, I'll update this post when I find out something more, or if the situation resolves itself. This one's on me for not fact-checking for about five minutes more before posting this. Oh, well. I at least hope someone else having a similar problem will find this first and realise there's nothing to worry about. And thanks for the speedy response! I've been in touch with Rumblefish, who it seems is a company who represents various artists, and has their music included in YouTube's Content ID system. Then the distribute the ad revenue from those videos appropriately, or something along those lines. Anyway, I digressed before I even started... basically, Rumblefish have retracted the Content ID claims. I'd assume it's because I didn't insert the music manually. YouTube still claims I have some account-affecting Content ID claims, despite there being none listen anymore. Given that, it seems it definitely was a YouTube bug to begin with. So, as is mostly the case, YouTube is to blame. If there was proper support department, I'd contact them, but I'm just having to wait it out. Anyway, thanks for all the help, and I can't wait for Resonance! The company I work for CDBaby has a partnership with Rumblefish. Therefore Gemini Rue was put on CDBaby for sale. As a result that soundtrack also opted in for Rumblefish. So this is MY doing, because I have control of the soundtrack itself. I didn't really intend this to mess with Let's Play videos. Good to hear it was resolved. I'll have to look up what Rumblefish options I have. I however probably will not remove that album from Rumblefish since it does protect a few things, such as people claiming it as their own.